Women's Ordination Worldwide position statement on support for restoration of the ordained women's diaconate. Recent statements from the Vatican suggest an emergence of open discussion about including women in the ordained permanent diaconate. Women's Ordination Worldwide supports this discussion and also restoration of the diaconate for women. Including women in the diaconate would not be something new. Instead the Church would be returning to its ancient roots when we now know that both women and men were deacons. Though restoration of an ordained women's diaconate would not alone be a satisfactory progression to including women in all realms of Church leadership, government and sacramental ministry – only ordination to the priesthood and episcopacy could begin to accomplish this – WOW supports restoration of the diaconate. It is long overdue. The so called changing ‘reasons’ that have been used to try to justify the exclusion of women from ordained ministry rest squarely on the shoulders of prejudice alone. Exclusion is just wrong and cannot be defended. The fact that women are still excluded tells the faithful that a wrong has been done to them by Church leadership. By continuing to suppress the natural and healthy development of women's leadership in the Church that on the other hand has been allowed to happen for men, the hierarchy deprives people of the pastors God calls for them and of the leadership gifts found in women who would serve the Church so well. That the hierarchy still defends this discrimination against women as though it were just and as though it were the will of God is indefensible. 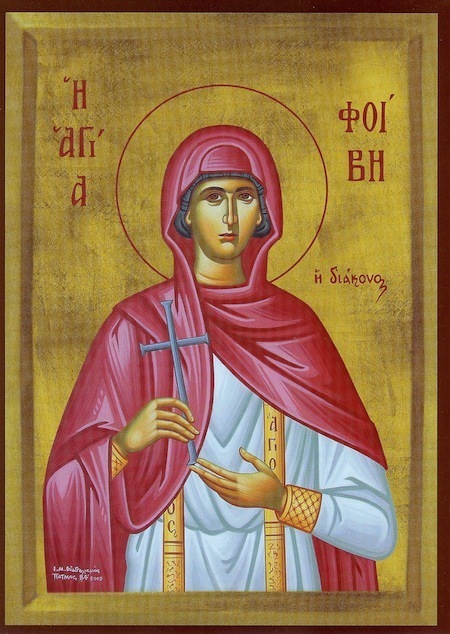 1. Who Were the Women Deacons of Antiquity? We know many of the ancient women deacons by name through literary records, liturgical feasts and tombstones. 2. Were they sacramentally ordained? Yes. We know this from the ancient ordination rite recorded in manuscripts. The ordination rites have also been fully published in the books The Ancient Women Deacons (Continuum 2003), and its recent update: The Ordained Women Deacons of the Church’s First Millennium (Canterbury Press 2011). 3. What were the tasks of the ancient women deacons? They were involved in the sacraments: baptism, taking communion to the sick and administering the last rites. 4. Did the Diaconate in the East differ from that in the West? Yes, the main difference lay in the cultural milieu. The Byzantine East (Catholic until the schism in 1054 AD) was more woman friendly and so the women’s diaconate flourished. The legislation under Justinian I, Emperor at Constantinople, treats male and female deacons almost equally. See: . The Latin West suffered from deeper prejudices against women inspired by ancient Roman Law. In spite of that there were some women deacons and traces of the ancient rite have been preserved. For a diagram of the development of that rite. The diaconate of women has indisputable historical precedent. There is no reason other than prejudice against women alone that causes the Vatican's persistent refusal to include women in all realms of Church government and sacramental ministry in the Church.